While I get loads of wonderful comments about my baking, including this Poppyseed Cake recipe, what I am most proud of in life are my two children. They are beyond words, so I won’t even start. But suffice it to say I love them with every ounce of my being. And so, while I have spent the weekend here in Tennessee with my son and daughter in law, it is a bittersweet visit. He will be deployed soon as part of his job and I won’t be able to see him for 9 months. So when he asked me to bake him his favorite cake, I jumped at the chance. I usually like to make it from scratch, but had to go with the quicker alternative. However, the secret ingredient in all my recipes, which is LOVE, was ever present! I’ll share the longer version another time since I have to head out for the airport now. But until then, here is what you need for an unforgettable but quick treat! Preheat oven to 350 degrees. 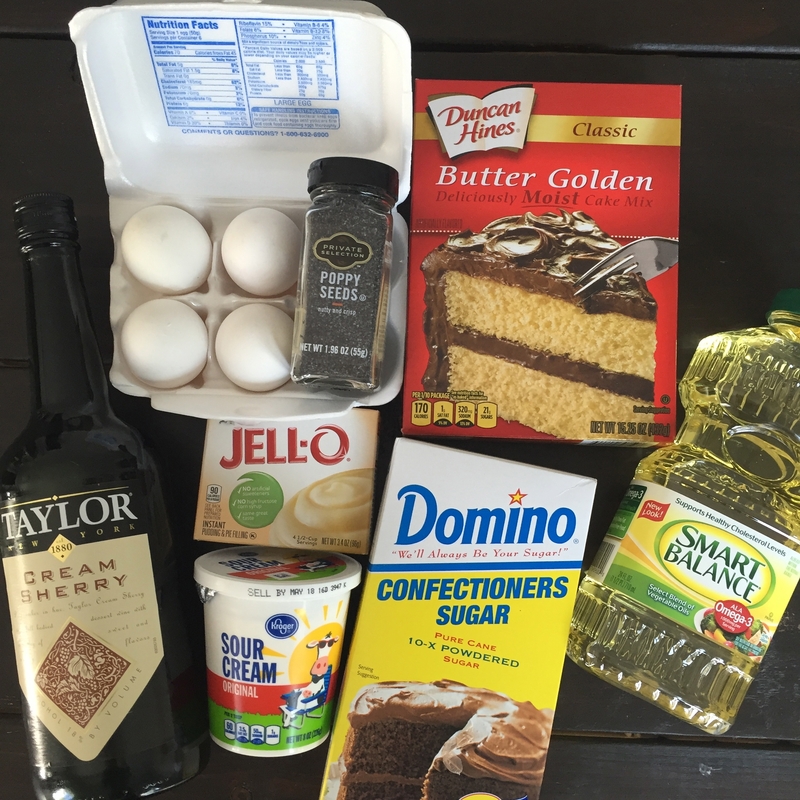 Combine cake mix and pudding mix together. Then add eggs, sour cream, oil and cream sherry. Mix until smooth. Gently fold in poppy seeds. 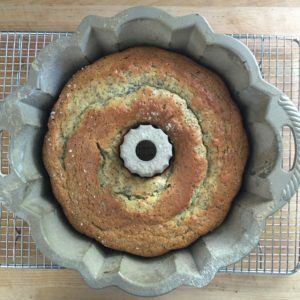 Transfer batter to a greased and floured bundt pan. 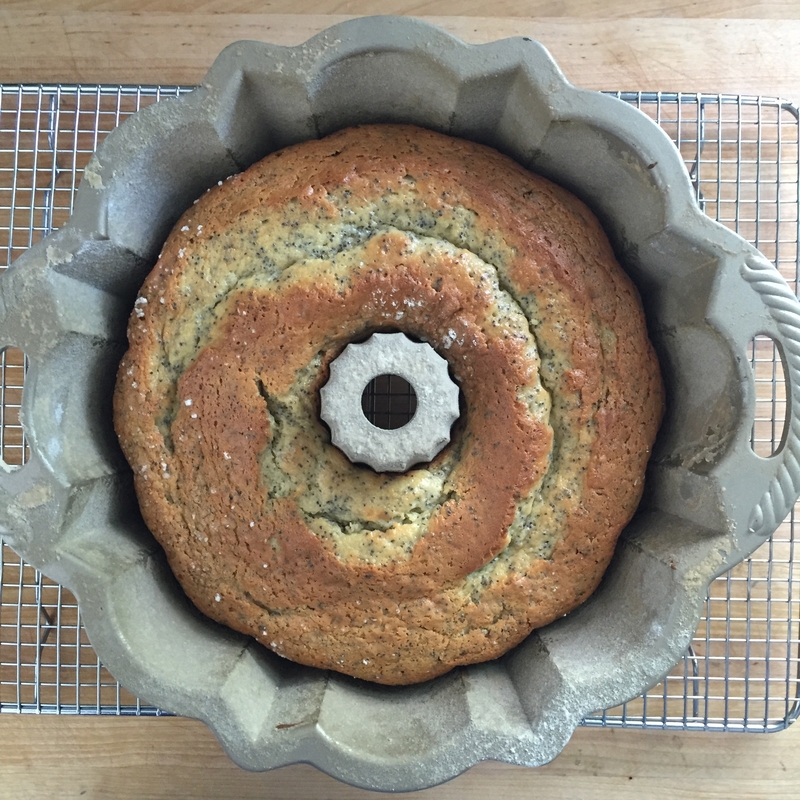 Bake for about 35- 45 minutes or until a toothpick inserted in the center of the cake comes out clean. Let cool in the pan on a wire rack for about 20 minutes. 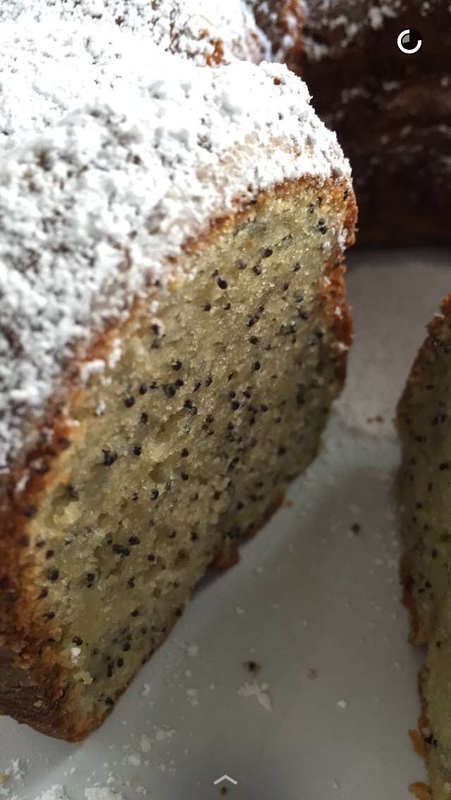 Flip cake onto a plate and let cool another 20 minutes before dusting with powdered sugar. My daughter no longer blogs because she is a busy mommy of two and in the middle of getting a masters degree in social work. 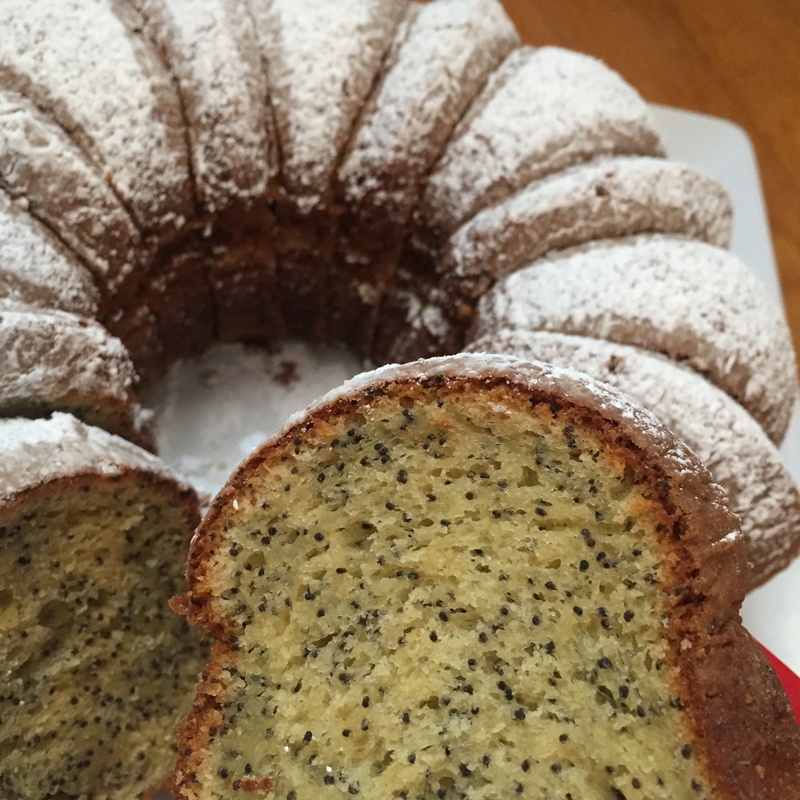 However, when she did have a blog she wrote a lovely post about this poppyseed cake. You can read it by clicking here. It is amazing how much food can connect us and evoke such powerful feelings. I am excited to say I will be seeing my daughter and her family in a few weeks time. But I look forward to another chance for all of us to be together in the New Year (which seems a long way away) when my son returns safe and sound. 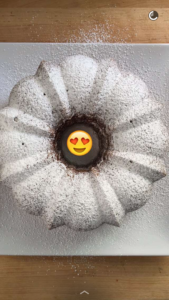 Until then we will savor the bittersweet memory of our time together this weekend with the last bits of this cake. < Previous Foodie Fieldtrip Fireday!